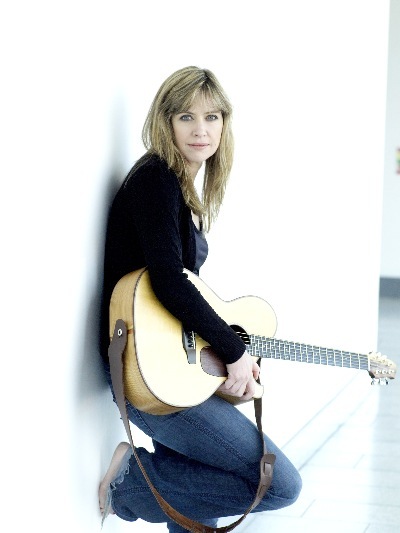 Sarah McQuaid is a gifted and captivating performer whose warm, haunting alto is delicately cradled by her “sparkling guitar” (Sing Out!). She is both song crafter and song collector, equally at home with traditional Irish and Appalachian folk songs, Elizabethan ballads and 1930s jazz numbers. Her musical output is a direct and unfolding reflection of her own eclectic background: Sarah was born in Spain, raised in Chicago, holds dual US and Irish citizenship, and currently lives in rural England. While the genre, era and geographical location of her songs may change, at their core is a musician who has soaked it all in – and, luckily for us, is able to eloquently express the stories she’s gathered. 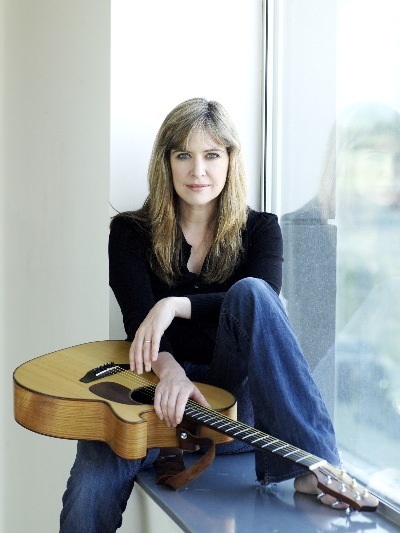 Born in Madrid (to a Spanish father and an American mother), raised in Chicago and holding dual Irish and American citizenship, Sarah McQuaid was taught piano and guitar by her folksinging mother, and remembers being inspired by meeting her distant cousin, well-known singer/songwriter/storyteller Gamble Rogers, at her grandmother’s house in Indiana. From the age of twelve she was embarking on tours of the US and Canada with the Chicago Children’s Choir, and at eighteen she went to France for a year to study philosophy at the University of Strasbourg. She moved to Ireland in 1994 and lived there for 13 years, working as a music journalist and active member of Dublin’s arts community. In 2007, she re-released her critically acclaimed 1997 debut solo album, When Two Lovers Meet, and launched her solo career with a performance on Irish national television as the musical guest on John Kelly’s popular Friday evening arts show The View. 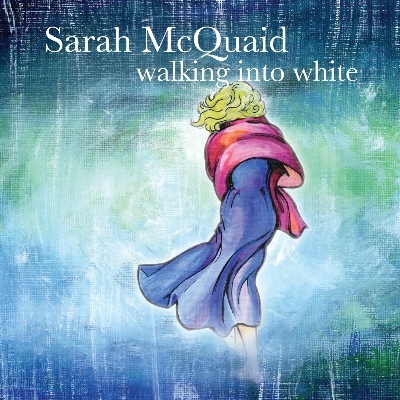 Walking Into White is the fourth solo album from Sarah McQuaid. To record it, she travelled from her adopted home in Cornwall, England, to the small town of Cornwall, New York, USA, in order to work with co-producers Jeremy Backofen (Frightened Rabbit, Felice Brothers) and Sarah’s cousin Adam Pierce (Mice Parade, Tom Brosseau, Múm). Coming from outside the folk world and having never worked with Sarah before, Adam and Jeremy found and nurtured the raw edge and intensity that’s always been present in her live performances, while their occasionally unorthodox recording methods (a mini-cassette recorder mounted on a microphone stand, for example) bring out a striking intimacy and immediacy in both her vocals and her guitar sound. Walking Into White is by far the most personal and emotional album Sarah has made to date. Three of the songs take their inspiration from Arthur Ransome’s classic Swallows and Amazons series of children’s books. The title track uses the arresting image of two children lost in a moorland fog as an allegory for the sensation of stumbling blindly through life; in “The Tide”, a mud-bound sailboat becomes a portrait of a marriage, while “Where The Wind Decides To Blow” performs a similar transfiguration on a homemade sailing sled sent hurtling across a frozen lake by an unexpected blizzard. 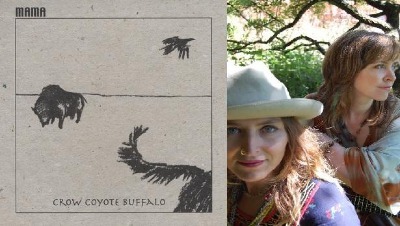 In “Yellowstone”, a young boy’s obsession with the spectre of volcanic apocalypse sparks a rumination on the buried terrors that haunt us all: “I know I’m not the only one / To fear the ground I tread upon / Volcano’s of all kinds / Torment our minds,” Sarah sings almost meditatively over a samba rhythm delicately embellished by Adam’s cajón and Dan Lippel’s classical guitar. “Jackdaws Rising” takes the form of a three-part round, with Sarah’s lyrics and vocal melodies overlapping in counterpoint to a guitar instrumental composed by her friends Pete Coleman and Clare Hines. The other two parts are sung by Adele Schulz (who also contributes beautiful harmonies on “The Tide”) and Sarah’s manager and touring sound engineer, Martin Stansbury. Sarah, Martin, Adam and Jeremy all supply the stomps and handclaps that punctuate this 4/4 song in 5/4 time – a brain-tickling polyrhythm that was one of many ideas introduced by Adam. Other guest musicians include Gareth Flowers, whose soaring trumpet brings the upbeat single “The Silver Lining” to a stirring climax (he also duets with Sarah on the title song), cellist Kivie Cahn-Lipman (“Where The Wind Decides To Blow” and Sarah’s evocative guitar instrumental “I Am Grateful For What I Have”), and pianist Rob King (“The Tide”). Jeremy plays bass on “The Silver Lining”, and Adam pitches in on a plethora of instruments. On the album opener “Low Winter Sun”, he uses an electric guitar and an early 1980s synthesizer to create a wash of sound that acts as foil and underpinning for Sarah’s acoustic guitar rendition of a church bell peal; elsewhere, he plays everything from the aforementioned cajón to drums, tambourine, bass, vibraphones and air organ (this last item is also played by Martin to fine effect on Sarah’s setting of the early 20th century hymn “Canticle Of The Sun/All Creatures Of Our God And King”). 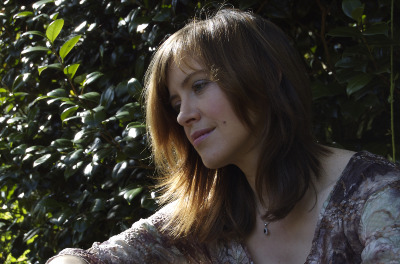 Rounding out the album are “Leave It For Another Day”, co-written by Sarah with Gerry O’Beirne, who produced all three of her previous solo recordings; “Sweetness And Pain”, an a cappella song split into three parts that serve as brief interludes between the other tracks; and a cover of Ewan MacColl’s “The First Time Ever I Saw Your Face”. 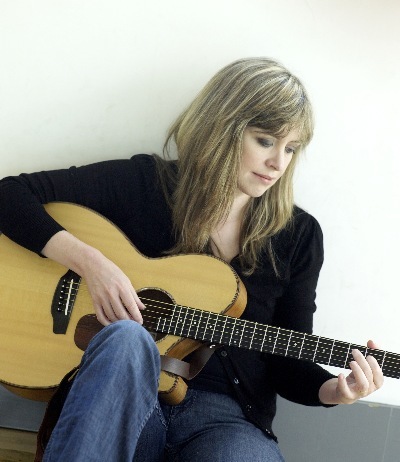 The Plum Tree and the Rose is the third album by Sarah McQuaid, a gifted and captivating performer whose warm, haunting alto is delicately cradled by her “sparkling guitar” (Sing Out!). She is both song crafter and song collector, equally at home with traditional Irish and Appalachian folk songs, Elizabethan ballads and 1930s jazz numbers. Produced by Gerry O’Beirne (Midnight Well, Patrick Street, Sharon Shannon Band), engineered by Trevor Hutchinson (Waterboys, Lúnasa) and released on the Chicago-based Waterbug Records label, The Plum Tree and the Rose opens with “Lift You Up and Let You Fly,” one of nine originals on this thirteen-song album. Warm strains from Bill Blackmore’s flugelhorn envelop a tender love letter from mother to daughter. Up next is “Hardwick’s Lofty Towers,” Sarah’s ode to the remarkable woman who in 1590 built the magnificent Hardwick Hall near Chesterfield, Derbyshire. 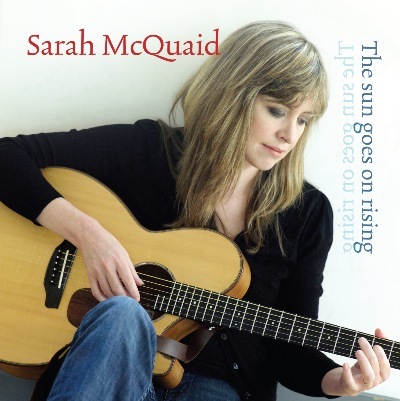 A folk album is not complete without comment on our current socio-political climate, and Sarah does excellent justice to the global economic downturn on “The Sun Goes on Rising” (co-written with producer Gerry O’Beirne). As percussionist Liam Bradley’s shuffling snare sets a tone of relentless perseverance, the fear of debt and poverty is embodied in the proverbial lurking “wolf at the door” – but, as the chorus points out, there’s hope for the patient. Also co-authored with O’Beirne are “So Much Rain,” a rumination on lost love and the changing of seasons, with Sarah’s plangent guitar and string-like vocal harmonies embellished by gossamer piano backing from Rod McVey, and “What Are We Going To Do,” an old-fashioned ‘first kiss’ song in the Golden Age style of Rodgers & Hart, George Gershwin and Cole Porter. "I Won’t Go Home ’Til Morning" the long awaited follow up to Sarah's acclaimed debut album When Two Lovers Meet, marked a distinct change of focus for the musician whose rich voice has been likened to “matured cognac”. Whereas her first album 'When Two Lovers Meet' was a feast of Irish music, this is an enchanting celebration of old-time Appalachian folk, with Sarah’s arrangements punctuated by her own compositions and a cover of Bobbie Gentry’s classic ‘Ode to Billie Joe’. As might be expected of one who has led such a peripatetic existence, Sarah developed a taste for the road early on: From the age of twelve she was embarking on ten-day tours of the US and Canada with the Chicago Children’s Choir. At eighteen she went to France for a year to study philosophy at the University of Strasbourg, where her performance at a local folk club drew a rave review in the Dernières Nouvelles d’Alsace, saluting the “superbe chanteuse d’outre-Atlantique qui fit passer comme une vibration émotionnelle dans une salle conquise” (superb singer from across the Atlantic who caused an emotional vibration to pass through a conquered hall)! In 1994, Sarah moved to Ireland, where she became a weekly folk music columnist for the Evening Herald and a contributor to Hot Press magazine. 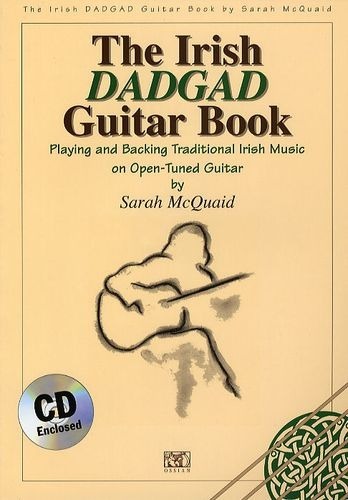 She is also the author of a guitar tutor, The Irish DADGAD Guitar Book, described by The Irish Times as “a godsend to aspiring traditional guitarists,” and has presented workshops on the DADGAD tuning at festivals and venues across the UK and Ireland. In the autumn of 1997, she recorded her debut solo album, 'When Two Lovers Meet,' featuring traditional tunes and songs along with one original number. “Sarah’s voice is both as warm as a turf fire and as rich as matured cognac.... An astonishing debut by a unique talent,” wrote the Rough Guide To Irish Music. Despite the critical acclaim, a long break from the music scene followed, during which Sarah married Feargal Shiels and had two children, Eli and Lily Jane. 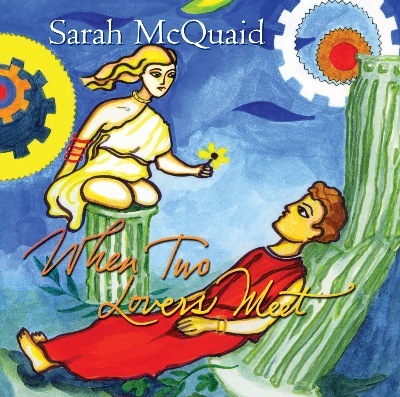 When Two Lovers Meet was re-released in Ireland on 23 February 2007. Sarah’s ensuing nationwide tour was highly successful, thanks in large part to a very well-received appearance on The View, the acclaimed arts television show hosted by John Kelly on RTÉ1. On 30 July 2007, the album had its first UK release. The December 2007 edition of fRoots described it as “a masterclass in restraint and subtlety. Authoritative singing and quietly insistent arrangements make for a sumptuous whole – recommended.” Tracks from the album were included in FolkCast’s December 2007 “artists of the year” podcast and in Crooked Road host Mike Ganley’s Top Ten picks for 2007. The move to the other side of the Irish Sea was triggered by the death in 2004 of her mother, in whose former home she now lives and to whom I Won’t Go Home ’Til Morning (a title taken from the lyrics of album opener ‘The Chickens They Are Crowing’) is dedicated. 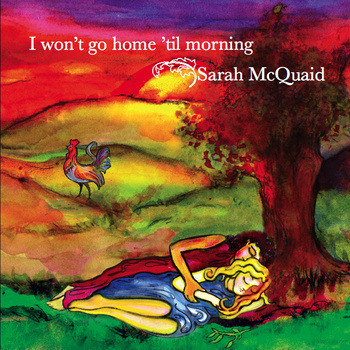 Says Sarah: “My first album was immersed in Irish traditional music, which I still love – but this time round, I felt the need to revisit the Southern Appalachian songs and tunes that I learned during my childhood. My mother was my introduction to folk music. She never performed professionally, but she had a lovely natural style of singing and guitar playing. Like its predecessor, I Won’t Go Home ’Til Morning was recorded in Trevor Hutchinson’s Dublin studio and produced by Gerry O’Beirne. 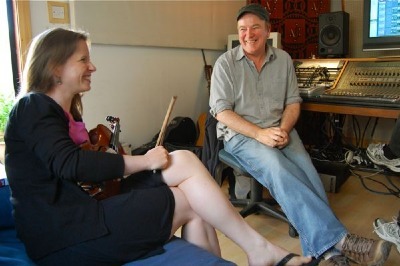 Both also guest on the album, alongside percussionist Liam Bradley, Máire Breatnach on fiddle and viola and Rosie Shipley on fiddle. Sometimes elegiac, always elegant, the album includes upbeat, fun tracks steeped in the Appalachian tradition and others perfect for mellow, late-night listening. They range from opener ‘The Chickens They Are Crowing’, first heard by Sarah as a child, sung by the great Peggy Seeger on the 1958 recording Folksongs and Ballads, to ‘West Virginia Boys’, which started life as a blackface minstrel song in the music halls of New York, Philadelphia and Baltimore. Performed as an instrumental on this album, ‘Shady Grove’ is a song Sarah recalls singing with her mum on long car journeys, while she first heard ‘East Virginia’ on her mother’s scratched and battered copy of Joan Baez’s debut album. Sarah’s exceptional voice is heard to great effect in the unaccompanied ballad ‘The Wagoner’s Lad’, whose origins can be traced back to the 1720s. Similarly, her stark and spellbinding rendition of the powerful Sacred Harp hymn ‘Wondrous Love’ is likely to give you goosebumps. It also resulted in her being contacted by renowned American folk singer-songwriter and Appalachian dulcimer player Jean Ritchie, who had recorded it back in 1956. 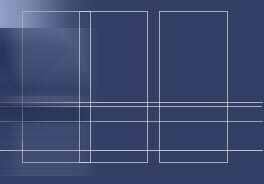 There are also two heartfelt compositions of her own. She describes ‘Only an Emotion’ as “a song in defence of sadness” and something of a gentle riposte to people who flippantly say “Cheer up, it might never happen!”, while ‘Last Song’ is the perfect album closer – a tender number written for both her mother and her daughter Lily Jane (who sadly never met each other), illustrating a perfect three-generation fusion of mothers singing their daughters to sleep. from 195 DJs) for February 2010 (http://folkradio.org/airplay/feb10.html); the final tally at year’s end saw the double CD in the No. 6 slot for the year, beating powerful competition from far more established artists. Now spending approximately six months of each year on the road in Ireland, the UK, Europe and the USA, Sarah was an official showcase artist at the International Folk Alliance conference in February 2011. She returned to the studio in June 2011 to record her third solo album The Plum Tree And The Rose which has just been released. See Tour Dates to find out where Sarah is playing next.